Music to my Tears is a series of video works based on the aesthetics of sadness, found in music and songs from the Arab region. 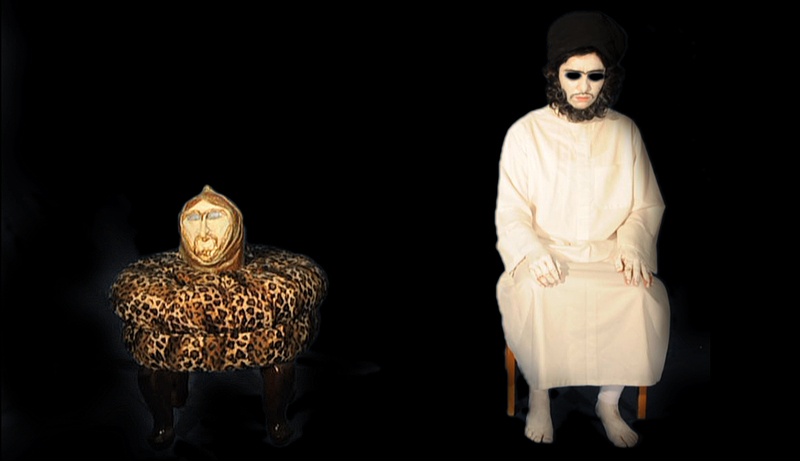 Two of the works – Wa Waila (Oh Torment, 2008) and Abu Athiyya (Father of Pain, 2013) – are music videos of folk songs from Iraq and Kuwait, that would otherwise never have been represented using such a pop medium. The image translation of the lyrics is literal in part, but also reflects personal and social dilemmas in an ambiguous, super-visual manner. The result is a strange and disturbing portrait of the dysfunctional coexistence of ancient and post-modern aesthetics. The third work, Tragedy (2009) is a silent video, and deals with modern narcissism as a tragic subject, but one that is also pleasurable in its excessive self-indulgence. 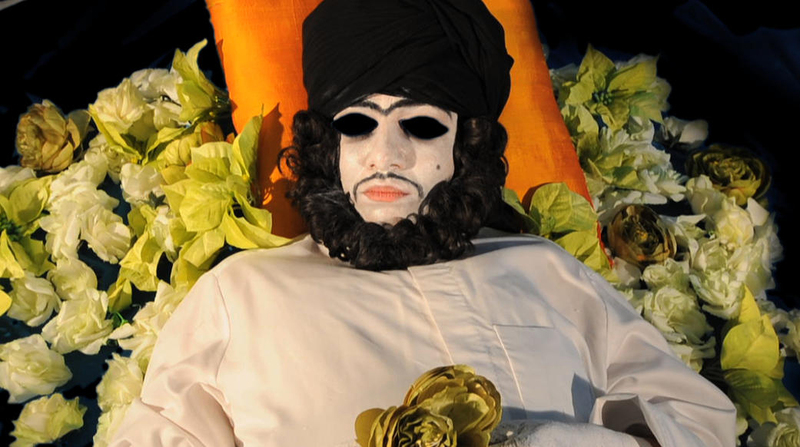 Wa Waila (Oh Torment), 2008, is a music video based on an old Kuwaiti folk song, whose words are almost like a trance of recurring tragedy and self-pity. The lyrics of the song are visually interpreted to create a surreal atmosphere. It depicts love loss, displacement, gender identity and death in a poetic, but also kitsch style. The men and women in the film are all in opposite roles, and the artist plays the part of the main male singer. 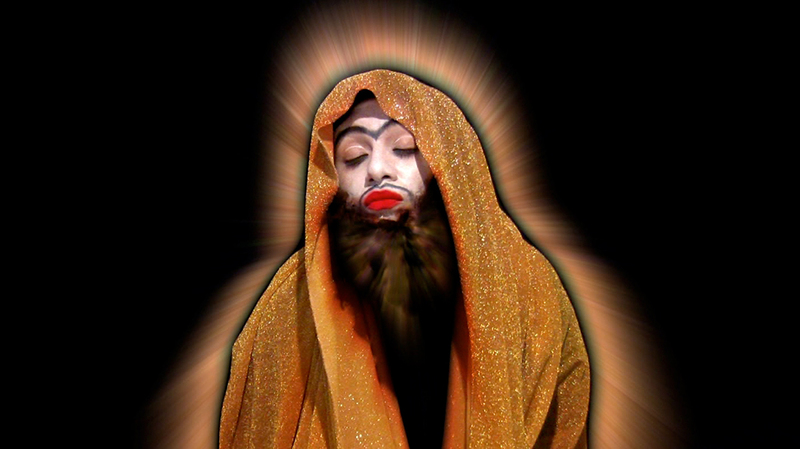 Abu Athiyya (Father of Pain), 2013, is a music video based on a Mawwal (lamentation) song performed by the southern Iraqi singer Yas Khodhor. The artist plays the role of the singer in a ghost-like funerary setting and performs a knife dancing ritual to the choreography of the legendary Iraqi gypsy dancer Malayeen. The video embodies a kind of eulogy towards the aesthetics of sadness – a prominent form of aesthetic appreciation in the region – that is now rapidly dying away. In Tragedy, 2009, the artist appears as a melancholic yet self-indulgent godly figure in order to highlight the modern preoccupation with images of the Self. As a result, a special kind of visual isolation is achieved, one in which the other is no longer perceptible. Monira Al Qadiri is a Kuwaiti artist born in Senegal and educated in Japan. Her works explore the dysfunctional gender roles in Arab societies, as well as the displacement of cultural and religious identities. She is also a member of the artist collective GCC.